This week's Daily Record column is entitled "Productivity apps help lawyers manage time." My past Daily Record articles can be accessed here. According to the American Bar Association’s 2013 Legal Technology Survey, 91 percent of attorneys have smartphones and 48 percent use tablets in their practices. So more likely than not, you own either a smartphone, a tablet, or both. And now that you own a mobile device, why not use it to increase your productivity? To help you do just that, here are some of my favorite productivity apps that you might want to consider. First there is my favorite to-do/calendar app combo: Any.do and Cal. Both apps are free and were developed by the same company. Most importantly, the apps integrate, making your tasks and calendaring system a seamless, intuitive experience. Any.Do is a user-friendly and versatile to-do app (iOS, Android, and web app) that is flexible enough to fit into most workflows. You can add tasks via the Web interface or the smartphone app. If you add a task using your smartphone and include the name of someone stored as a contact on your phone, the app will connect the task to your contact and will automatically include a link to any contact information relating to that person. Another great Any.Do feature is that the Web browser extension integrates with Gmail, prompting you to add an email-related task at the end of each email. The task you create is then linked to the email, so that you can quickly return to the email, should you need to do so in the future. Cal, the corresponding calendar app integrates with Any.do so your Any.do tasks are listed within the Cal interface. Cal connects with the native iOS app, Google calendar, or any other calendar that you’ve set up on your mobile device. You can connect the app with your contacts so that whenever you enter an event, such as “Meeting with Mary,” the app will search your address book and suggest contacts with that same name, which you can then link to the event. The app then automatically includes the contact information so that you can email or text him or her from within the event with just the touch of an icon. You can also add a location and, once you’ve done so, the app suggests businesses that match the location. After you choose the correct business, a map appears along with a navigation button, so that you can then pull up turn-by-turn instructions via Google maps. If you’re in the market for a voice mail system other than your phone’s native system, YouMail, a free iOS and Android app, might be just what you’re looking for. One of its best features is the ability to forward voice mails to your email. Being able to do this makes it much easier for me to remember to respond to or take action in regard to a specific message. You can also email a voice mail to someone else as well — something that occasionally comes in handy. YouMail also makes it easy to organize your voice mails. Instead of being forced to store all of your voice mails in one location, you can create sub-folders (ie. “follow up,” “work” or “personal”). Once you’ve done so, you can then file received voice mails into specific folders after you’ve listened to them. For contact management, consider Brewster, a free iOS and Android app that facilitates contact management across your social networks. Once you download this app, it collects all of your social network contacts along with your phone’s contacts into a fully searchable database. This is a wonderful feature because for those of you who travel often, since it makes it so much easier for you to locate (and network with) your connections who live wherever you happen to be traveling to. And last but not least, Springpad is a great app for note taking and keeping your life — both online and offline — organized. Using Springpad you can create notes and collect and organize many different types of files — including photos, Web pages,UPCs (of wine, books or other items) scanned via your smart phone, online recipes, and notes or reminders — using any Internet-enabled device. So there you have it — an assortment of apps to help you stay organized and increase your productivity. So why not get started today? Download a few apps and see how much time you save! This week's Daily Record column is entitled "A tale of judges, social media and boundaries." My past Daily Record articles can be accessed here. Earlier this month I wrote about the problems encountered when judges ignore social media and fail to understand the platforms, but nevertheless issue rulings related to the social media interactions of those appearing before them. Today I discuss the other end of the spectrum — the small minority of judges who overzealously interact on social media platforms with little concern for the effects of their interaction. Case in point, a recent decision issued by the District Court of Appeal of Florida, Fifth District. At issue in Chace v. Loisel, — So.3d —, 2014 WL 258620 (Fla.App. 5 Dist. Jan. 24) was whether the judge acted improperly when she “friended” a litigant who appeared before her in a matrimonial proceeding—while the case was still pending. This was apparently a common practice for this particular judge. Now let’s stop right there. What in the world was this judge thinking? How she could have possibly thought that her actions were in any way ethical? When would it ever make sense to attempt to connect on social media — or otherwise — with parties to an action over which you were presiding? This is especially true for a judge located in Florida, a jurisdiction which is well known for its conservative views on the ethics of lawyers and judges using social media and other online technologies. As far as I’m concerned, that ruling was simply a foregone conclusion. But what really interested me about this case was the court’s dicta regarding another issue: whether judges should be permitted to “friend” attorneys who appear before them. Domville v. State, 103 So.3d 184 (Fla. 4th DCA 2012), rev. denied, State v. Domville, 110 So.3d 441 (Fla.2013). In Domville, the court concluded that the judge’s Facebook “friendship” with the prosecutor in that case was improper and created the appearance of impropriety. Bravo, Fifth District Court of Appeal! Bravo! I couldn’t have said it better myself. Is 2014 the ‘Year of the Cloud’ for lawyers? This week's Daily Record column is entitled "Is 2014 the ‘Year of the Cloud’ for lawyers? 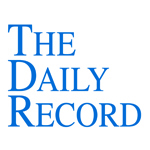 Read more: " My past Daily Record articles can be accessed here. I’ve been writing about cloud computing since 2008, but more often than not my claims that it was the future of computing were met with skepticism — especially from legal professionals. Even so, I maintained this view and have long believed that mid-2013 would be the tipping point and that from then on an increasing number of lawyers would, slowly but surely, begin to use Web-based tools in their law practices. So I was excited to learn of a LexisNexis report on cloud computing which was released in January. The results of this survey indicate that 2014 may very well shape up to be the year that solo and small firm lawyers (with 20 lawyers or less) began to embrace cloud computing as a viable option for their law firms. Based on last year’s trends, gleaned from surveys and anecdotal evidence, I didn’t find the conclusions of the LexisNexis survey to be all that surprising — but they certainly were encouraging. For starters, the survey results showed that cloud computing is no longer a foreign concept and that lawyers are increasingly amenable to the idea of using Web-based tools in their day-to-day practice, with 50.2 percent indicating that they are more likely to use the cloud this year. Just as interesting, a full 40 percent confirmed that they already used cloud-based tools in their law practices. Especially notable was that 72.4 percent expected that their law firms would use cloud computing services in 2014. 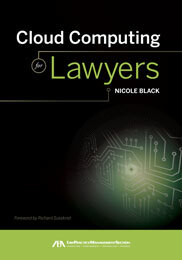 Why are lawyers using cloud computing services more frequently? Because they’re convenient and offer peace of mind. Study results indicated that mobility and/or freedom of access were cited as a popular benefit by 45.2 percent of respondents while 40.5 percent cited disaster recovery/data backup. The most popular uses for the cloud were: 1) document storage or management (56.4 percent), 2) disaster backup (slightly over 50 percent), 3) hosted Exchange/email (53.6 percent), 4) file sharing (46.4 percent), and 5) practice management (nearly 25 percent). Of course, lawyers tend to be a cautious bunch so it’s no surprise that not all lawyers are on board and some still have reservations about the security of their data stored in the cloud. This hesitation was borne out by the survey results. The top 5 concerns of respondents regarding the use of cloud computing in their law offices were: 1) maintaining the security and confidentiality of data, 2) concerns regarding ethical issues, 3) uncertainly about where their data is stored, 4) concerns about data ownership, and 5) the possibility of incurring additional costs in the event that the firm decides to switch to another cloud provider. Music to my ears and a strong sign that, at long last, lawyers are finally beginning to acknowledge and embrace the tremendous benefits that cloud computing can offer their law practices. Given the many benefits that cloud computing offers lawyers — 24/7 access, convenience, flexibility, mobility, security, disaster back up, and more — it’s no wonder lawyers are finally beginning to see the light. And, it’s about time!